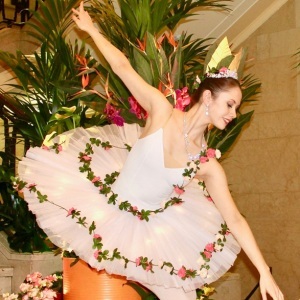 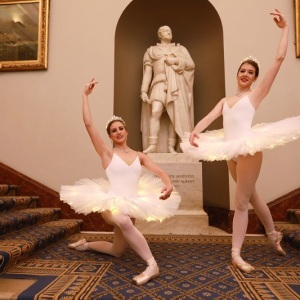 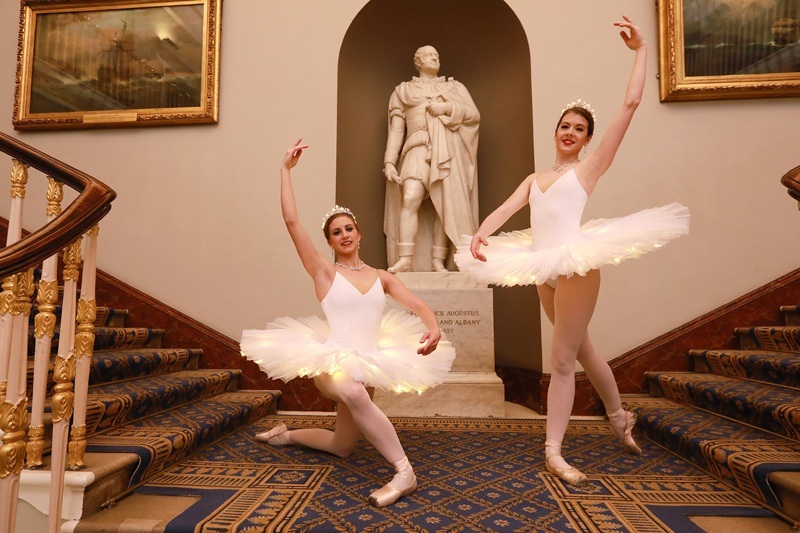 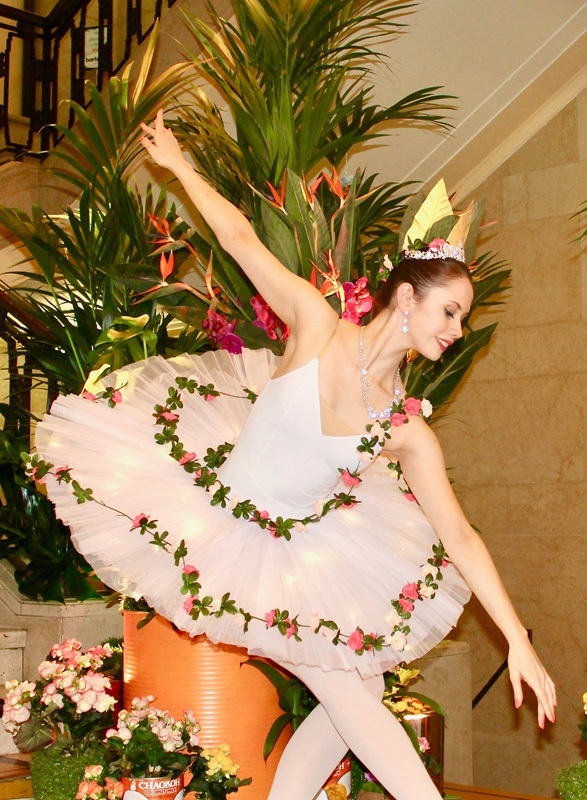 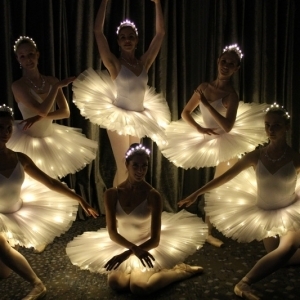 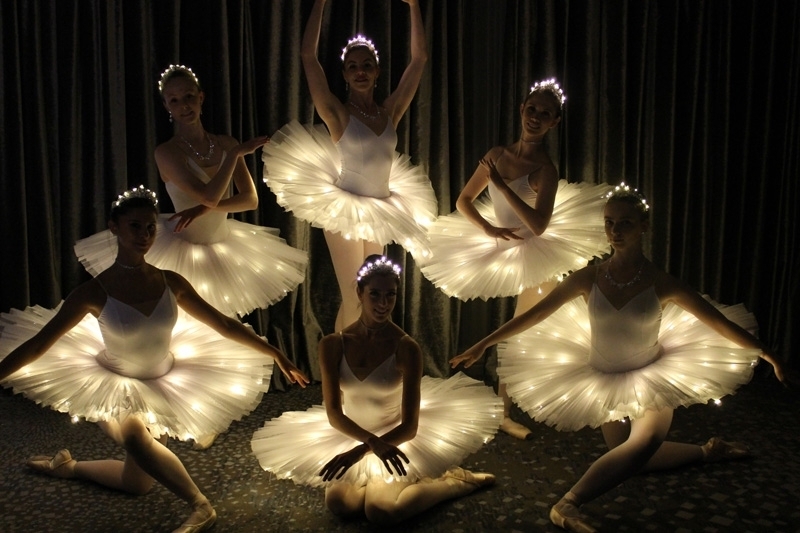 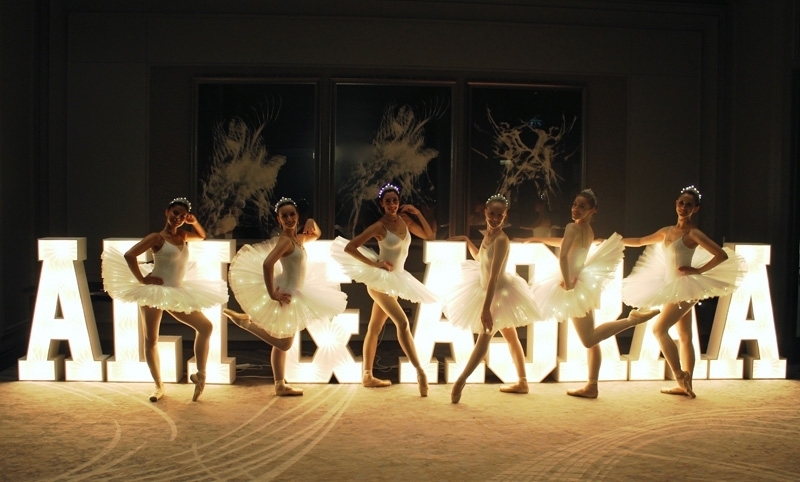 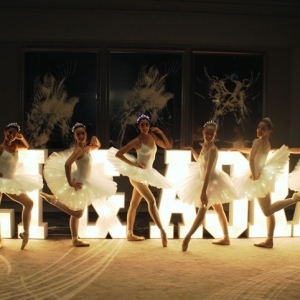 Elegant and sophisticated, our LED Ballerinas add a touch of class to any event. 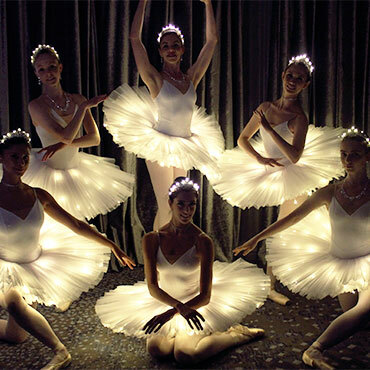 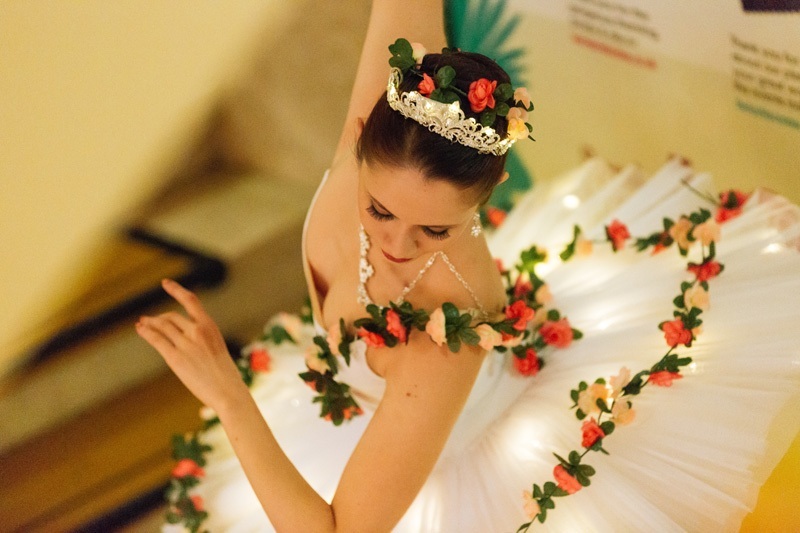 Stunning custom made white Tutus and crystal tiaras adorned with LED lights create a beautiful visual spectacle. 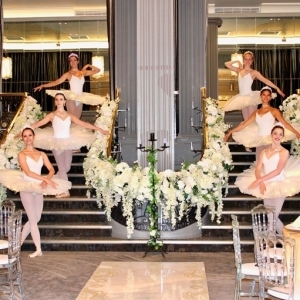 Perfect for meeting and greeting your guests on arrival and posing for a welcome photo. 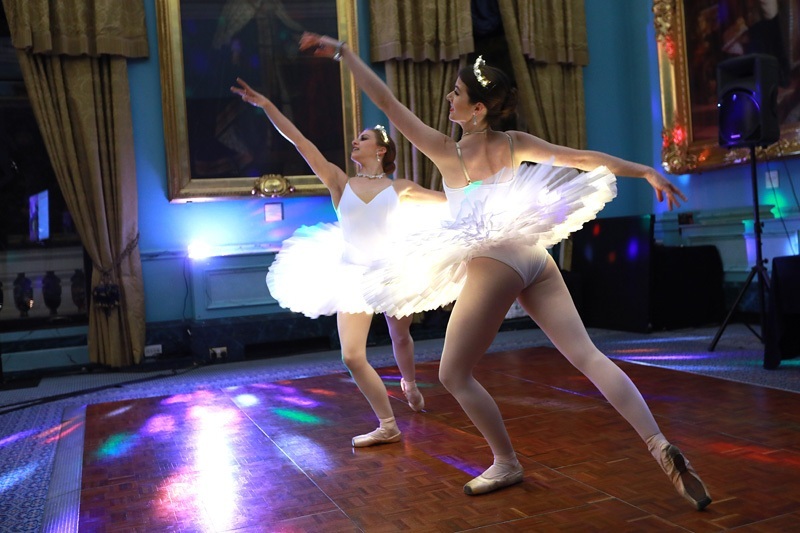 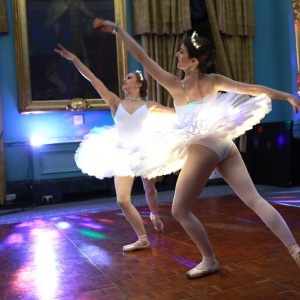 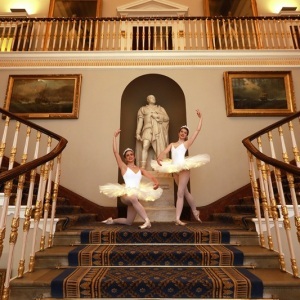 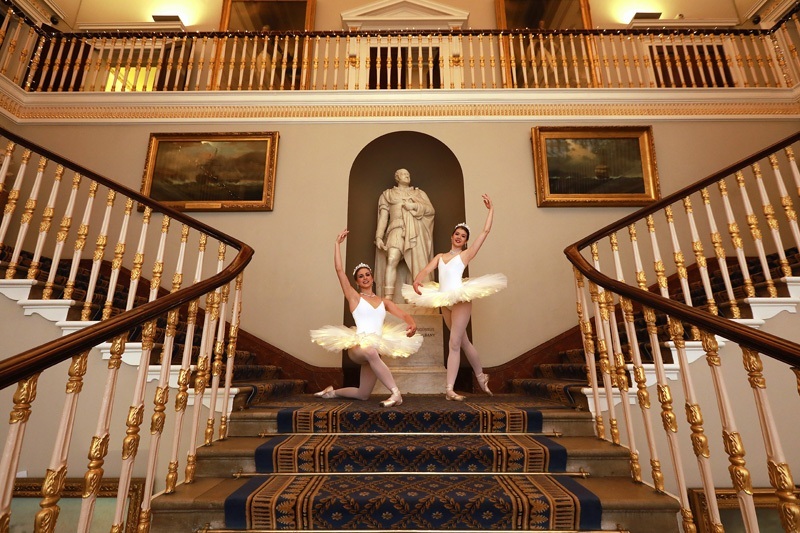 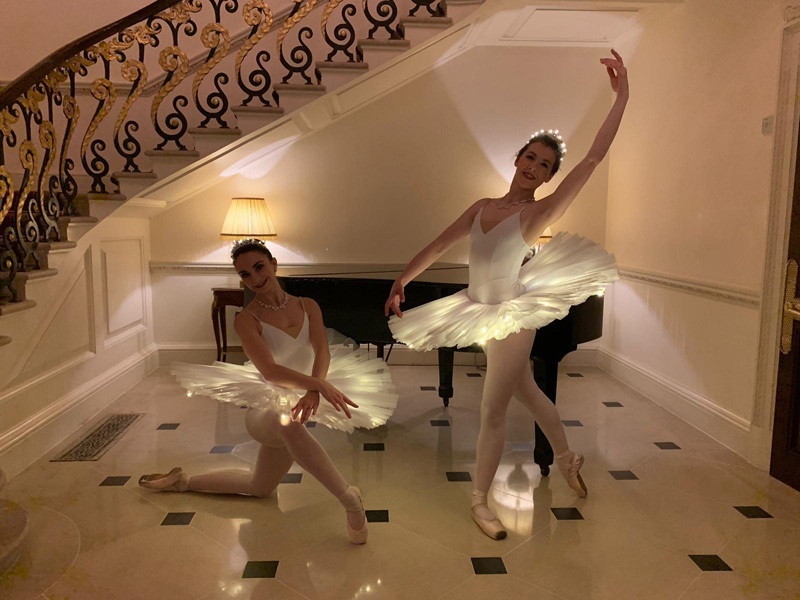 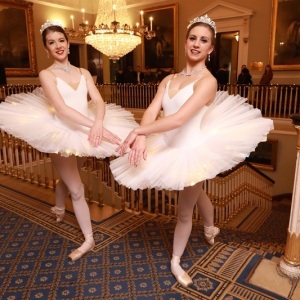 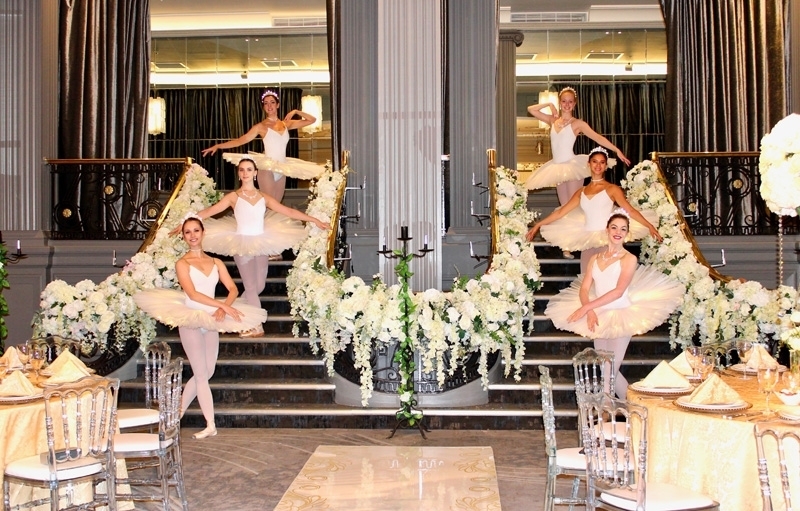 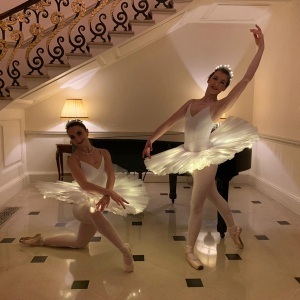 Our classically trained Ballerinas can perform choreographed routines as well as freestyle atmospheric dance sets that take place either on a podium or whilst moving amongst your guests.